TrophyObjects lets you create abstract art with your photos and text. Add your images and then share them via Facebook, twitter and email. 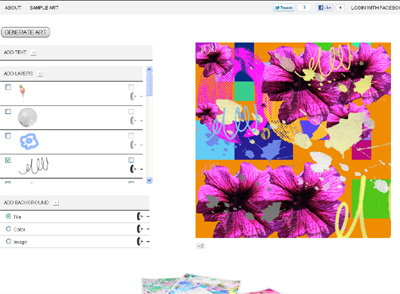 TrophyObjects is a free way to create good-looking art that can be easily shared with others.